Deciding why you should buy a Toyota is easy: it’s one of the most reliable, most valuable, longest-lasting, most affordable, and most capable vehicles on the market. It’s a Toyota. But when it comes time to shop around for the right dealer in Midwest City; serving Oklahoma City, Norman, Edmond, and Moore OK, your choice gets a little bit harder. Do you shop simply for the closest bid? Do you shop for the lowest prices? The best and most knowledgeable staff? The best full-service availability? Or, maybe, you come to Hudiburg Toyota, minutes outside of Oklahoma City, and you get everything you’re looking for all in one place. Every new Toyota purchase or lease comes with the peace of mind of ToyotaCare, a no cost maintenance plan with 24-hour roadside assistance for 2 years or 25,000 miles, whichever comes first. We’re located just 5 minutes from downtown OKC! Don’t Take Our Word for It–Ask Local Customers! 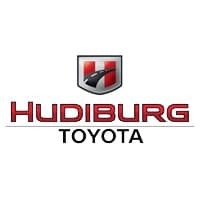 At Hudiburg Toyota, we always encourage open and honest feedback from our clients; that might be why we have more reviews and positive mentions on Google and Facebook than any other Toyota dealer in the OKC region! So if you’re still on the fence about deciding where to buy your next Toyota Tacoma, RAV4, Camry, or used car, let the voices of your friends and neighbors be your guide. Or, better yet, visit us in person.